I have had this tray before but not in this condition. This one is nearly flawless. I have photographed it with a mug to show the size better. 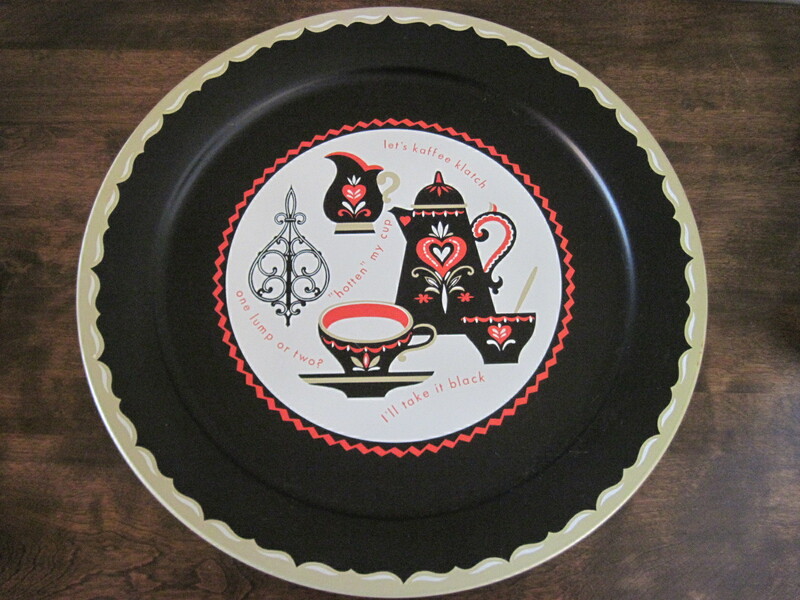 This lovely metal tray measures 19″ across. Kaffeeklatsch is a German word for coffee and conversation (or gossip) first used in 1888. Later the ‘s’ was dropped from the word as it became americanized. 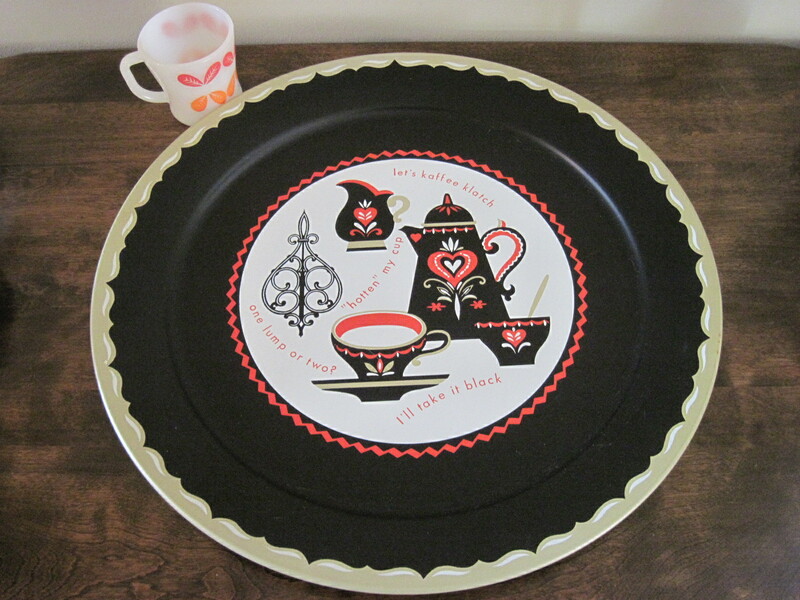 I date this tray to late 50’s or early 60’s. I remember our kitchen of that time period had a black, red and white linoleum floor and my mother had sewn curtains that had the same colours in a diamond pattern. I still have the curtains tucked away somewhere. This will be for sale at my booth in the Almonte Antique Market, 26 Mill Street, Almonte ON.